The team of Pylon Network has been busy as always since… the beginning of Pylon Network project. The project has been gathering an increasing amount of generated interest and many exciting developments are coming up. However, they say that the past is where you learnt the lesson and the future is where you apply it. 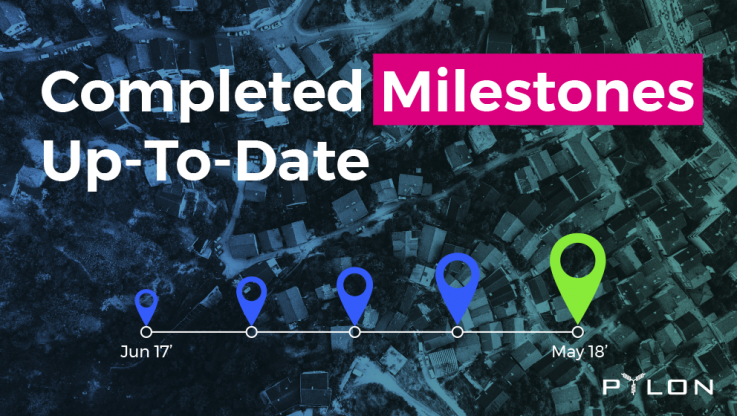 In the following weeks we are going to release an updated roadmap regarding our future milestones, so in this post, we are going to look back – at what we have accomplished since the initiation of the project. Jun 17 ‘: Development of the first version of the blockchain platform for digital meters. Jul 17 ‘: Simulation of the platform with consumers and producers in local area. Jul ’17: Launch of White Paper. Aug 17 ‘: Agreement with the cooperative GoiEner for the execution of a pilot phase of 100 users with real consumers. Sep ’17: Pylon investment round (PYLNT) opens. Nov ’17: Pylon investment round (PYLNT) ends. Nov ’17: Integration of the Pylon blockchain platform in a commercial smartmeter. Feb 18 ‘: Beginning of the installation of the first meters in users/members of GoiEner. Feb 18 ‘: Publication of the platform DEMO. Apr ’18: Real-time certification of green energy released on platform DEMO. May ’18: Agreement with eGEO smart meters for integration with Pylon Network’s blockchain code. May ’18: Beta METRON dApp release. So, now that we scanned through our past, we are ready to look in the future! As mentioned, during the following weeks we are going to release an updated roadmap, which will better reflect our future milestones and better explain the path we are following in order to implement Pylon Network in the real energy market.